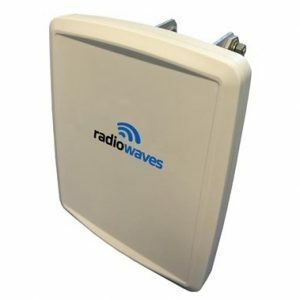 RadioWaves - RFMW UK, Ltd.
RadioWaves, Inc. offers a diverse product range of high-quality microwave antennas from 1.3 GHz to 86 GHz for Point-to-Point and Point-to-Multi-point applications, supporting all unlicensed and licensed band requirements. Applications include telecommunications back-haul, WiMAX broadband wireless bands, ISM, LMDS, broadcast, enterprise applications. RadioWaves is known globally for their high performance, reliable construction, design, and flexible delivery capabilities. Parabolics – Radio Waves designs and manufactures Standard Performance (SP), High Performance (HP) and Super High Performance (SHP) series for terrestrial microwave point-to-point applications. These antennas support Telecoms, Enterprise and Industrial applications. They are available as single or dual polarized antennas and support standard frequency bands from 1.3 to 86 GHz. Flat panels Radio Waves offers a complete and diverse line of flat panel antennas for point to point and point to multipoint terrestrial microwave applications. These antennas are designed to be light in weight, easy to install and aligned and durable for years of reliable service. All of Radio Waves’ flat panel antennas are designed to be aesthetically pleasing and unobtrusive.. These panels are ideal for concealment in many architectural environments.